Note: It is highly recommended that you get the Old Style Aloe Toxin Rid as your everyday shampoo. 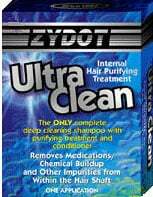 Zydot Ultra Clean Shampoo and Conditioner Internal Hair Purifying Treatment Removes Medications, Chemical Buildup and Other Impurities From Within the Hair Shaft. The ONLY complete deep cleaning shampoo with purifying treatments and conditioner. SHAMPOO away external barriers such as hair spray, styling and finishing products, and everyday buildup to expose the inner hair. PURIFY by penetrating the hair shafts inner structure to release, dissolve, and remove the chemicals and medications bonded within the hair. 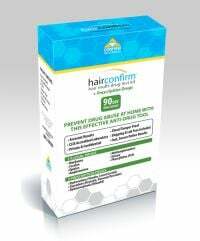 Leave your hair pure and clean, free of all unwanted contaminants and impurities. CONDITION hair to control tangles, add sheen, and improve manageability. Zydot Ultra Clean Shampoo and Purifier contains Aloe Vera to help condition both the hair and scalp while the penetrating cleansing agents remove impurities. The Aloe based conditioner will leave your hair tangle free and full of body. To be used ONLY on the day you wish your hair to be clean and free of unwanted impurities. More being sued for counterfeit. I was like no way i just spent 600 on a bogus product. Kept the faith and followed the macujo method and kept praying !! Got the best news ever today, i passed!! Start my dream job on Monday. Did the macujo 16x 5 of them within the last 3 days before test and washed with shampoo daily. Used the zydot 1 hour before and test and prayed!!! The week waiting for the results were the absolute worst!! Thank you becky for all the recommendations!!!! Stopped smoking 5 days before starting the process. Washed anything and everything that my head may touch. Still in disbelief. Moree. I used the Shampoo for a total of 15 day plus the last 5 days I did the Macujo Method. On the Day of the Hair test I Did the final MM and wash my hair with the Zydot treatment. 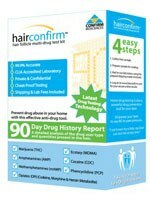 Today I received the great news that I passed the hair follicle test and the background check. Thanks Test Clear! from Chaffee This stuff works!!! Morellow the directions & use the old style aloe rid as well, this product will work! No joke!! I can’t thank this company enough!!! from Ohio Everyday Smoker!! Passed!! 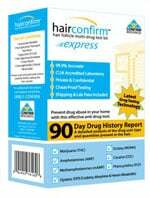 Moreshampoo 4 days before my test, 2 times per day! 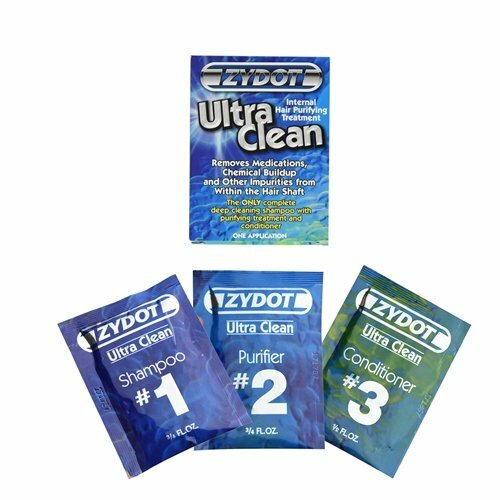 On the day of the test I did the Ultra clean Zydot and used 2 packages due to my hair being so thick. I’m still in shock from passing!! Thank you so much!! !